Having spoken about Guacamelee! 2 before, it is always nice to see how much the game improves, or changes, or to see it try something new. The developers for Guacamelee! 2, DrinkBox Studios, has just announced a few new add-ons for the game coming soon. And according to Producer and Designer David Rusak, the developers have been hard at work since August on these upcoming updates. The first being: The ‘Three Enemigos’ Character Pack. 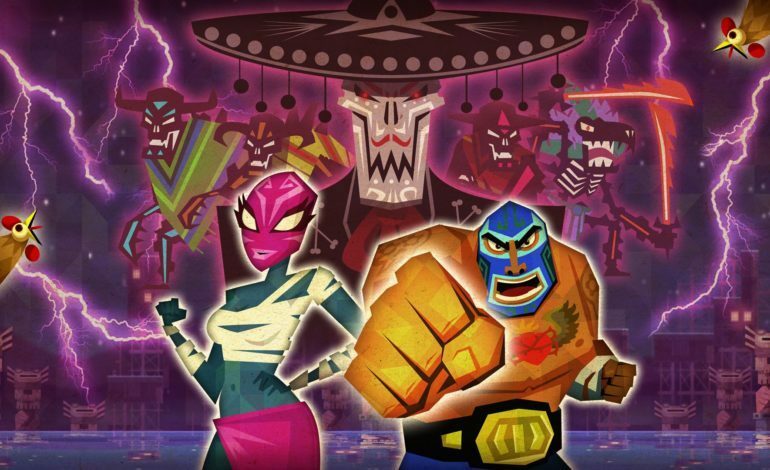 This new character pack will be available for purchase at $2.99 USD and will allow those who own it to play as the three favorited and beloved Guacamelee! series bosses: El Muñeco, Uay Pek, and Jaguar Javier. Each skin for each of the characters will have their own advantages and disadvantages to try out different ways to play and advance. This will also include several trophies associated to each boss. This will be available to purchase tomorrow, November 28. The second add-on is going to be a DLC pack that is known as ‘The Proving Grounds’. 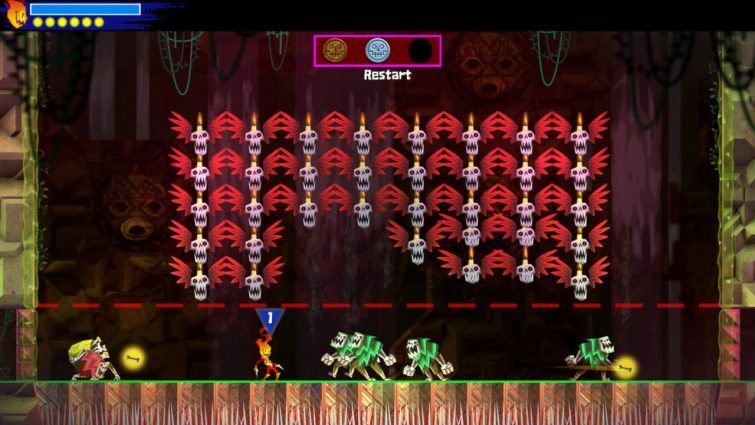 This new level will take place on a floating temple which is home to the god Tiempochtli, which is the temple that the luchadores have gone to sharpen their skills. This new level has the five luchadores teaming up to work through a series of tests and trials. And each part has a trainer that is ready to reward you with a new skin. Much like the Enemigos skins, each one will have their own unique play style with ups and downs. The entire new level has 15 different challenges for the player to get through. But that’s not all, once players have mastered the 15 challenges, and gotten gold medals across the board and perfected each one, they can meet the god Tiempochtli to receive a final, special skin. ‘The Proving Grounds’ DLC pack will be available for $3.99 USD on December 7.